This is the notice which is displayed at all the entrances to the ruins of the martyr village of Oradour-sur-Glane (this particular example is at the entrance reached from the Centre de la Mémoire). 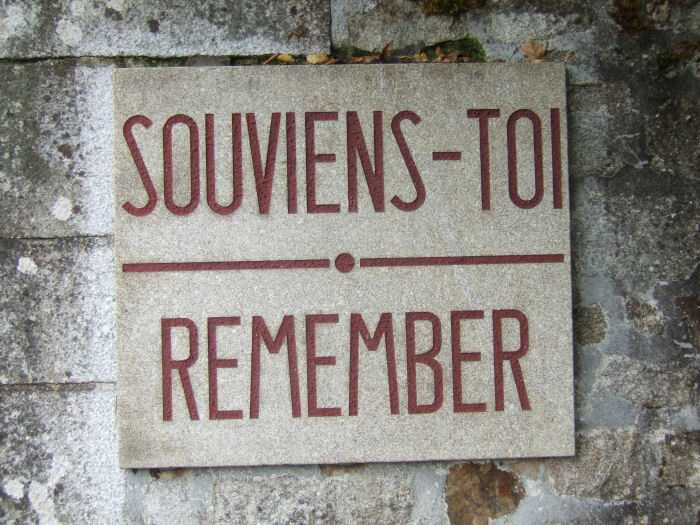 "Souviens-Toi" takes the imperative and thus is a command to, "Remember!" Other examples of the notice are at both the old northern and southern, entrances and also by the way-in at the cemetery. If you would like to see a higher definition photograph (225Kb) click on the link.